After a suit filed against the nation’s richest private school proved true, another former student of the Milton Hershey School in Pennsylvania is speaking out about being shown that same video as well. In the suit filed mid-2016, Adam Dobson contends that he was forced to watch an hour-long gay conversion tape as punishment, and that it was followed by a campaign of prayer sessions and other efforts to get him to change his sexual orientation. Later in court documents, the school’s lawyers admit that such a video was used by Hershey house parents the Slamans and that it was shown to at least one student. The school maintains it doesn’t know whether the tape was shown to Dobson but it was shown to four students. 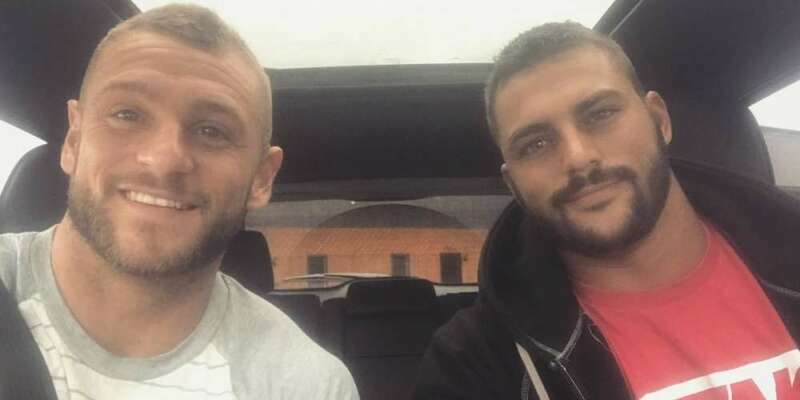 Now, Marcous Marchese, a 2011 graduate, claims he was told by the Slamans he could view the hour-long video privately in one of the school’s boarding homes with classmate James Stankunas. However, the video was shown at the dining room table with the sound on as other students looked on. 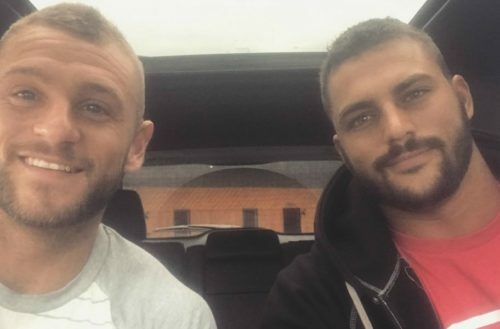 Marcous Marchese, left, with his fiance Nick Mallozzi. However, Stankunas is refuting Marchese’s claims. In a statement made through the school’s communications office, he challenged Marchese’s account and said his classmate’s former house parents were loving and supportive. “I was there and I personally did not feel like I was forced to watch it,” said Stankunas. When Philly.com tried reaching him for further comment, they failed. Hershey School students live in more than 150 homes, staffed by houseparents who are school employees, on the vast, 10,000-acre Hershey property. The nation’s richest private school, the Hershey School endowment of $12 billion is largely financed by Hershey’s Chocolate and Reese’s Peanut Butter Cup profits. What video did the Hershey School show? Court documents reveal what film was shown to the students. Not meant to be shown to minors, the film is One of the Boys by Christian pastor Sy Rogers. Rogers lived a flamboyantly gay lifestyle and had begun to undergo gender transition when he found a new path through Christianity. Rogers became a huge part of the ex-gay movement and Exodus International, a non-profit, interdenominational ex-gay Christian umbrella organization that sought to help people who wished to limit their homosexual desires. In the video, Rogers compares homosexuals to male prostitutes and adulterers. Thankfully, the video didn’t work. Marchese, now 24 and living in Vermont, is preparing to wed his fiance Nick Mallozzi next month.